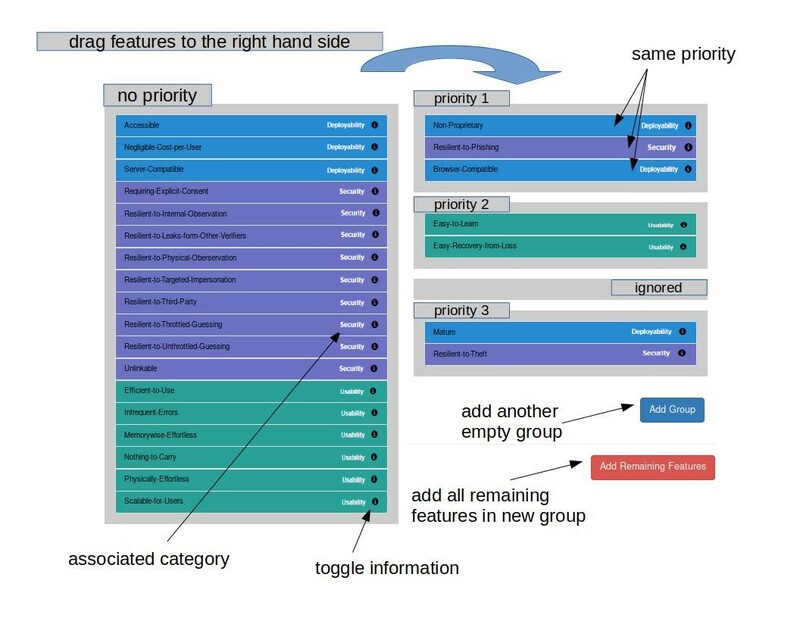 Choose the features that are important for you and align them in descending order on the right hand side. Features in the same group are equally important. 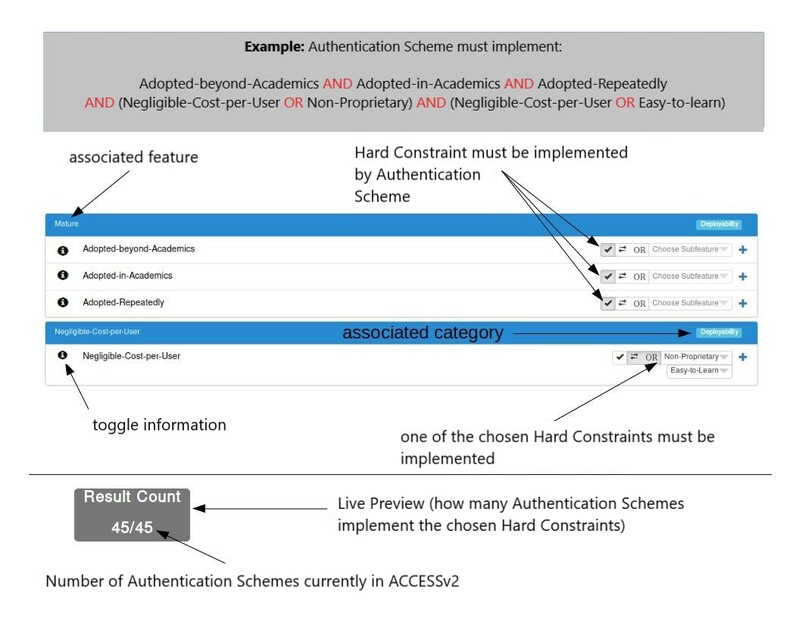 Choose optional Hard Constraints that must be implemented by your wanted Authentication Scheme. Congratulations! Here you can evaluate your result. If you want to change something you can go back and choose another input. Use the Compare function in Table to evaluate!